Angela Merkel condemn Trump's speech at weekly cabinet meeting at Chancellery in Berlin, Germany 20 Sep 2017. Berlin and the United States disagreed on the diplomacy, how to handle the standoff in Korean peninsula, Chancellor Angela Merkel on Wednesday, she condemning U.S. President Donald Trump's threat of "totally destroy" the reclusive state. Merkel, who is expected to win a fourth term in an election on Sunday, strongly hit out after Mr Trump made a rhetoric threat against North Korea as fears of a nuclear conflict mount on the two islands' nations. Sanctions and diplomacy were the only way to get the nuclear armed state to the negotiating table we consider any form of military solution as totally inappropriate and we insist on a diplomatic solution and this must be vigorously implemented. "I am against with such threats,” she told the German broadcaster Deutsche Welle: When asked about Trump's remarks at the United Nation. She emphasised that the sanctions and their implementation are the right solution to bring North Korea at the negotiation table. But consider anything else with regard to North Korea is wrong! Merkel she even told Trump through telephone a few days ago that a diplomatic solution must be found, And that is why we clearly disagree with the US President. The United Nations agreed to impose new import limits on North Korea after Kim Jong-un's regime launched two missiles over Hokkaido before crashing into the Sea of Japan. Merkel also confirmed her willingness to assist in resolving the conflict. Since Germany has close historical root with the former East Germany's communist legacy (East German Stasi 1987-1989 ), the fact that the two countries still have diplomatic relations and Berlin's strong ties to China, Japan, South Korea and the United States, Merkel said Germany is one of the few countries in the world with excellent mutual friendship and good position to assist in resolving the crisis. 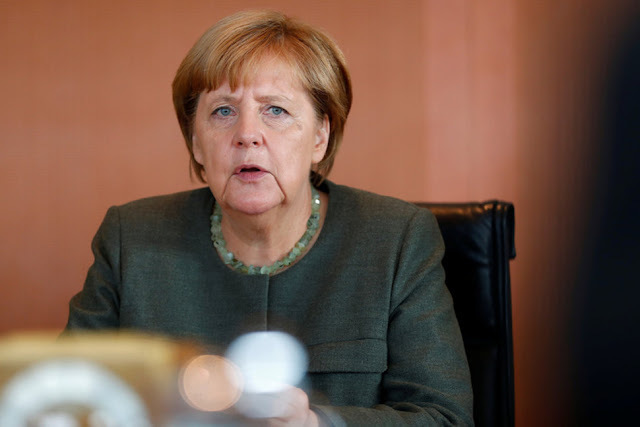 "Even if this conflict is far away from Germany, it is one that also affects us, Merkel stressed. I am prepared, as foreign minister, to assume responsibility here," she added. We have already took part in negotiating with Iranian nuclear issues and brought final agreement, which I think is good, and it serves better than no agreement at all. It took many years, but in the end the agreement was reached that limit Iran to access possibilities for nuclear armament. And I think we must take the same path or a similar one, with Russia, with China, together with the US, also in the case of North Korea. The Science and Tech weblog, is about science,technologies,esoterics and news with international interest but since we been requested to give a spotlight on Korean peninsula, then this information is worth for sharing!